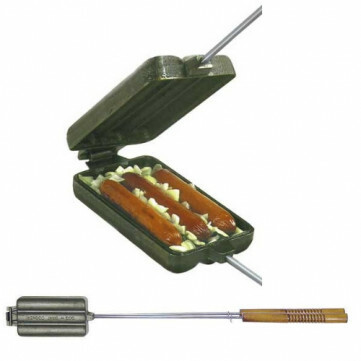 The great thing about cooking in a hot dog griller is you can add your onions with your sizzling hot dogs. It is easy to use and is great fun for all the family. 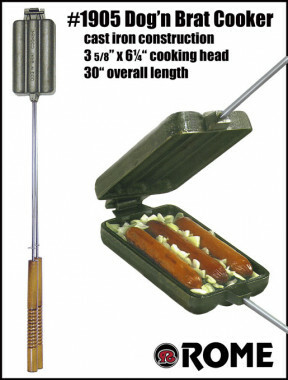 Place your iron on a BBQ, Firepit or Chimenea and cook as if you were around a campfire. Beer dogs, brats & onions, grilled sausages? You Betcha! 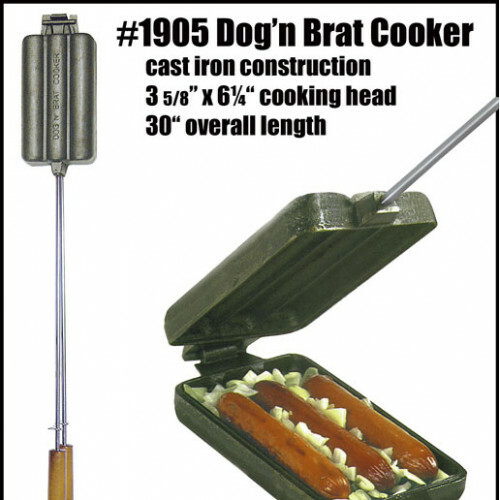 The Dog n' Brat/Cornbread Cooker lets you cook 'em all over the fire while sealing in the juices. The cooking cavity holds 3 at a time. Cornbread and other quick breads are simple to make as well. With our cast iron design, you'll get the meat sizzling without being charred by the exposure of open flame.